Over time, memories of their family histories and ancestral homes tended to fade for New Englanders pioneering new territories to the north and west after the close of the French and Indian and Revolutionary Wars. 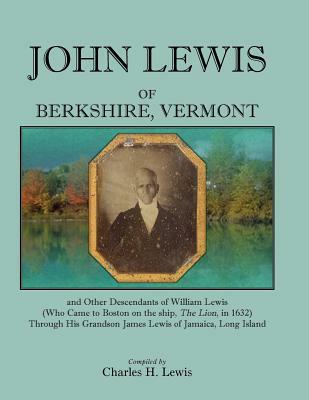 In the author's case, his family settled the little northern border town of Berkshire, Vermont, about 1800, and all that remained of its history prior to that time was a cryptic reference to its "colonial family strains." The fact that the family in question had the common surname "Lewis," further added to the difficulty of tracing them prior to the settlement of Berkshire. However, after ten years of research, the author has been able to establish that this family was among the descendants of William Lewis who came to Boston on the ship "The Lion" in 1632. The author was able to connect eleven generations, and hundreds of individuals of formerly uncertain ancestry, to this Lewis line, all ordered in the accepted NGSQ numbering system with extensive "in-line" notes. Extended family members were among the early settlers of Hartford and Farmington, CT, Jamaica, LI, Dutchess County, NY, Berkshire and Hampshire County, MA, Bennington, Addison, and Franklin Counties in Vermont, Northern New York State, and other states spreading out along the northern frontier of America during the early 1800's. Collateral family names also receiving attention include Meekins, Denton, Cross, Fuller, Williamson, Barton, Benson, Blowers, Frost, Ingraham, Cook, Pettibone, Huntington, Ellsworth, Haynes, Brackett, and others. The book contains an extensive bibliography, an every-name index with over 1,300 names, appendices, photographs, maps, and lengthy histories of many of the Lewis descendants. 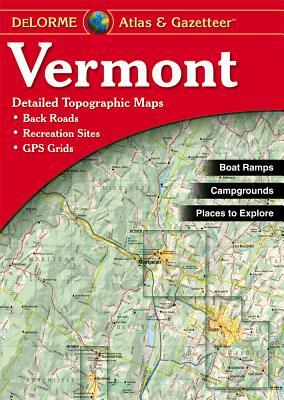 Appendix "B" contains an analysis of early settlement patterns in the towns of Weybridge and Cornwall, VT. The author is a retired manager with the Connecticut State Department of Correction, and former 1st Selectman (Chief Elected Official) of the Town of Canaan (Falls Village), Connecticut. In retirement he has become an avid amateur historian and genealogist, and is the self-published author of the history of The Lewis Family of Berkshire, VT. He is currently assisting with a project to publish the memoirs of his grandfather, Robert E. Lewis, entitled Search of Far Horizons. The author was given invaluable assistance by his contributing editor, Richard Alan Stowe, Ed.D, a retired educator who held positions at Indiana University, the State University of New York, and most recently Ball State University. In retirement, Richard has become a meticulous genealogical researcher and amateur historian. Description: Over time, memories of their family histories and ancestral homes tended to fade for New Englanders pioneering new territories to the north and west after the close of the French and Indian and Revolutionary Wars. In the author's case, his family settled the little northern border town of Berkshire, Vermont, about 1800, and all that remained of its history prior to that time was a cryptic reference to its "colonial family strains." The fact that the family in question had the common surname "Lewis," further added to the difficulty of tracing them prior to the settlement of Berkshire. However, after ten years of research, the author has been able to establish that this family was among the descendants of William Lewis who came to Boston on the ship "The Lion" in 1632. The author was able to connect eleven generations, and hundreds of individuals of formerly uncertain ancestry, to this Lewis line, all ordered in the accepted NGSQ numbering system with extensive "in-line" notes. Extended family members were among the early settlers of Hartford and Farmington, CT, Jamaica, LI, Dutchess County, NY, Berkshire and Hampshire County, MA, Bennington, Addison, and Franklin Counties in Vermont, Northern New York State, and other states spreading out along the northern frontier of America during the early 1800's. Collateral family names also receiving attention include Meekins, Denton, Cross, Fuller, Williamson, Barton, Benson, Blowers, Frost, Ingraham, Cook, Pettibone, Huntington, Ellsworth, Haynes, Brackett, and others. The book contains an extensive bibliography, an every-name index with over 1,300 names, appendices, photographs, maps, and lengthy histories of many of the Lewis descendants. Appendix "B" contains an analysis of early settlement patterns in the towns of Weybridge and Cornwall, VT. The author is a retired manager with the Connecticut State Department of Correction, and former 1st Selectman (Chief Elected Official) of the Town of Canaan (Falls Village), Connecticut. In retirement he has become an avid amateur historian and genealogist, and is the self-published author of the history of The Lewis Family of Berkshire, VT. He is currently assisting with a project to publish the memoirs of his grandfather, Robert E. Lewis, entitled Search of Far Horizons. The author was given invaluable assistance by his contributing editor, Richard Alan Stowe, Ed.D, a retired educator who held positions at Indiana University, the State University of New York, and most recently Ball State University. In retirement, Richard has become a meticulous genealogical researcher and amateur historian.